It feels, temperature-wise, that we are on the cusp of spring, and certainly the landscape is responding to the warmer and longer of February. Right now we are seeing spring try to break out a little early in some areas. 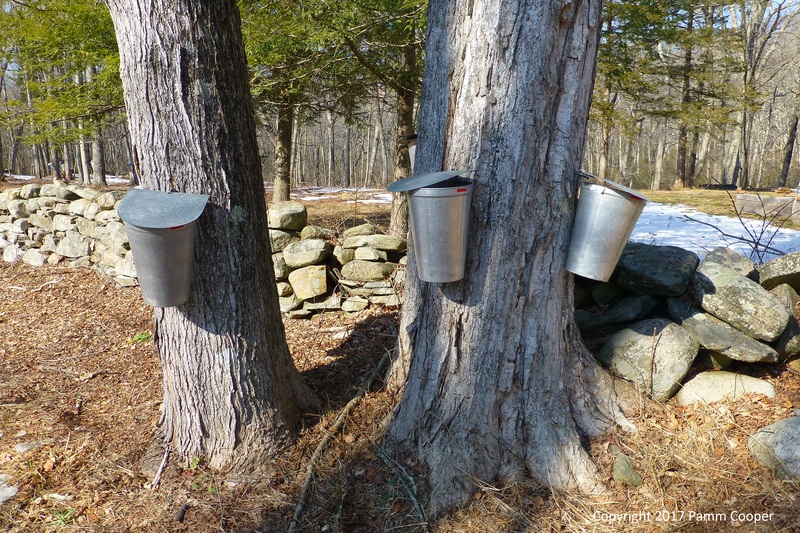 It may still snow, of course, but maple trees are tapped at the usual time and birds have begun their morning and evening territorial calls in response to longer daylight periods. Skunk cabbages have been poking their heads up for a while, but it is still winter, and we may see temperatures go down to a more normal range for this time of year. 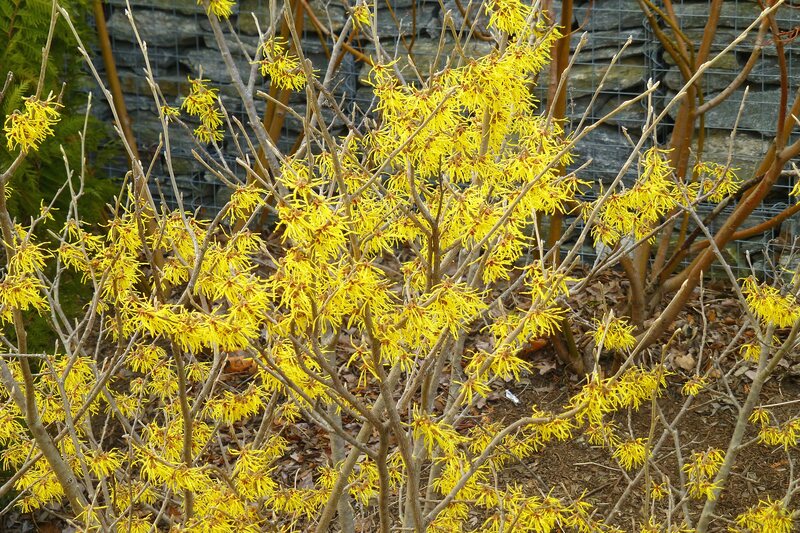 Around the state, the spring blooming witch hazel, Hamamelis vernalis is blooming in areas along the Connecticut shoreline and further north in sunny areas. Native to the Ozark Plateau which ranges from southern Missouri through parts of Arkansas and eastern Oklahoma, this witch hazel does well along gravelly or rocky stream banks and moist or dry soils in the landscape. It does best in full sun, but will tolerate some shade. Height is normally around eight feet as a mature plant, and about as wide. We can tell where the native willows are now as they are starting to bloom now. Other spring bloomers, like the star and southern magnolias, have swollen flower buds. Here’s hoping that we do not have a repeat of last year, when snow and freezing temperatures in the low teens followed and destroyed the flower buds of many of our fruit and ornamental trees. 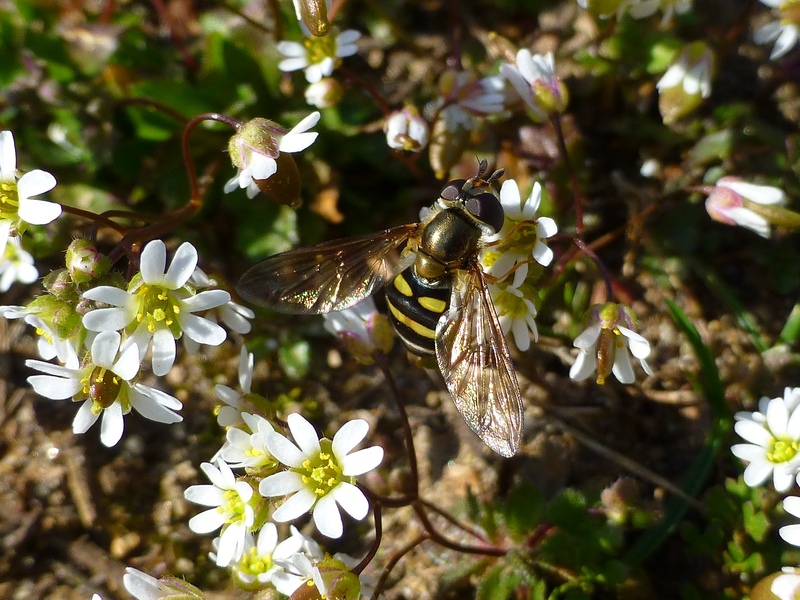 Whitlow grass, Draba verna, is flowering in sunny areas especially where the soil in lawns has open areas. Whitlow grass is not a grass at all, but a member of the mustard family, and it is one of the first herbaceous plants to flower before spring. It has tiny white flowers that may be mistaken for a chickweed, but this plant arises from a basal rosette. It is a winter annual and can form large mats that are evident in spring when the white flowers appear. Non- native, this plant has been around for over one hundred years. 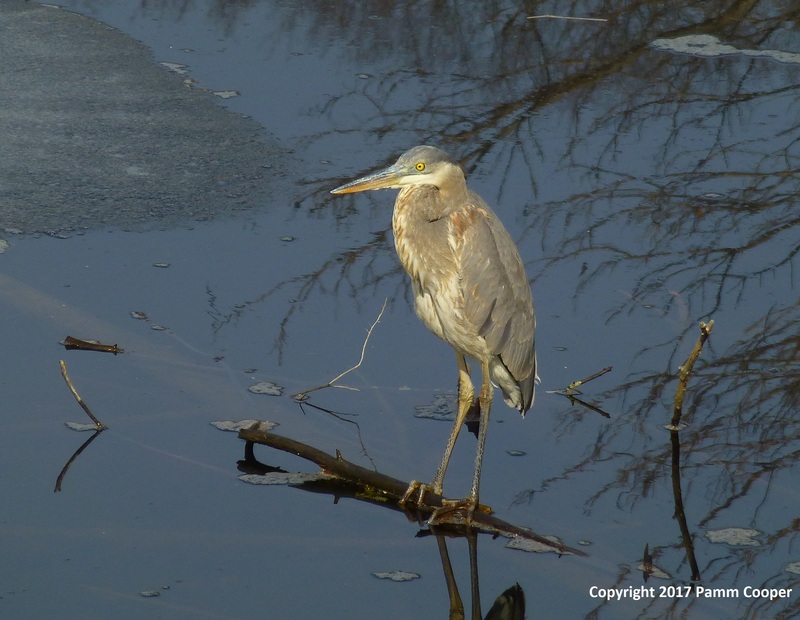 Spring peepers were heard the last week of February when the weather was very warm during the day. I have not heard any since, though. 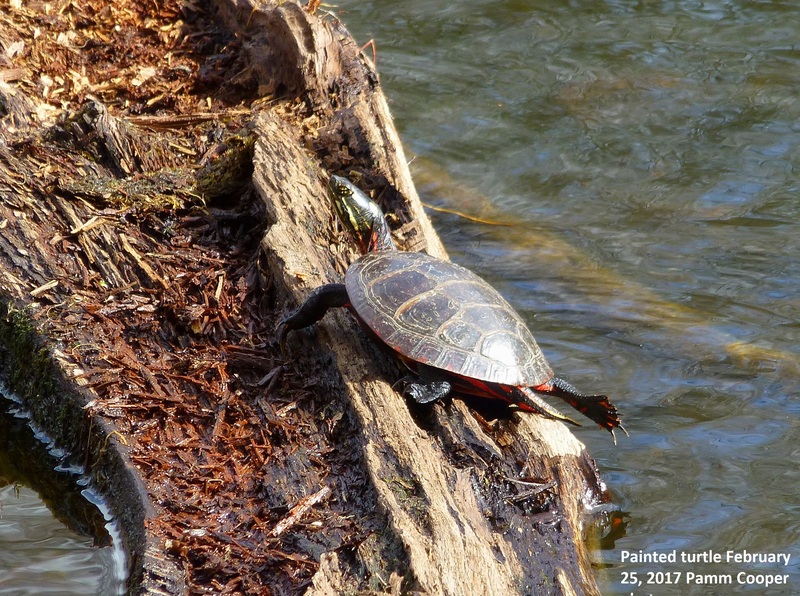 Painted turtles have been sunning themselves on rocks and floating logs during the warmer days as well. And chipmunks are up and running. Woodchucks are also out and about, which is early for them. 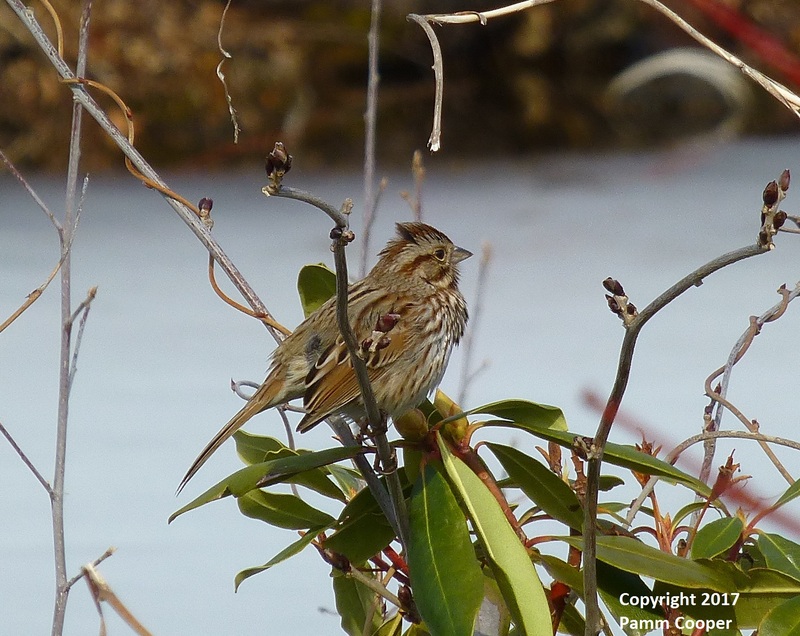 Unless there are some herbaceous plants greening up, they will probably head down below ground and extend their winter nap. Snow melt and recent winter rains have helped some vernal pools recover from the drought. 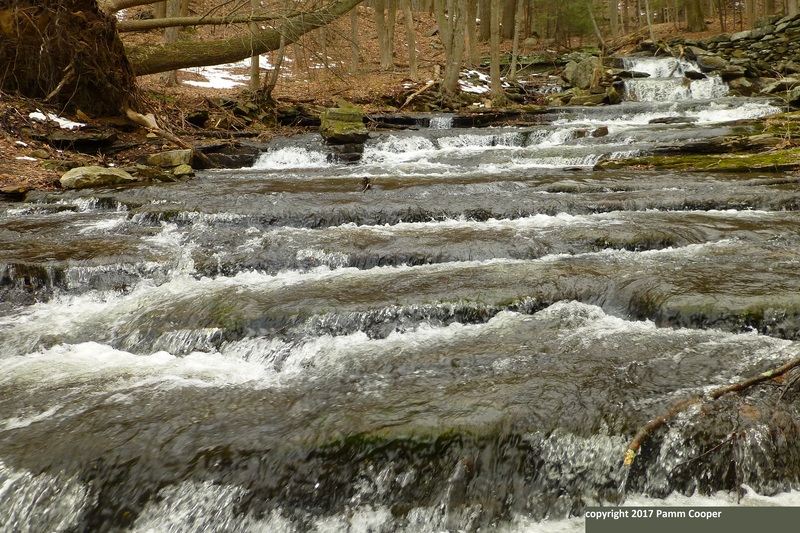 Streams are also flowing with more water than they had last summer and fall. Check out vernal pools for wood frog and spotted salamander eggs before the end of March. And if a garden has been mulched over perennials and they have started growing, do not remove leaves or mulch as that has insulated the plants from the cold. Uncovering them too soon may invite damage if the weather returns to more seasonable temperatures below freezing. Winter is probably not over yet, but it will be soon. That cheers me up considerably.